Just a few days ago we received a handy tool from ComEd, our power supplier. We have a light bulb guide. 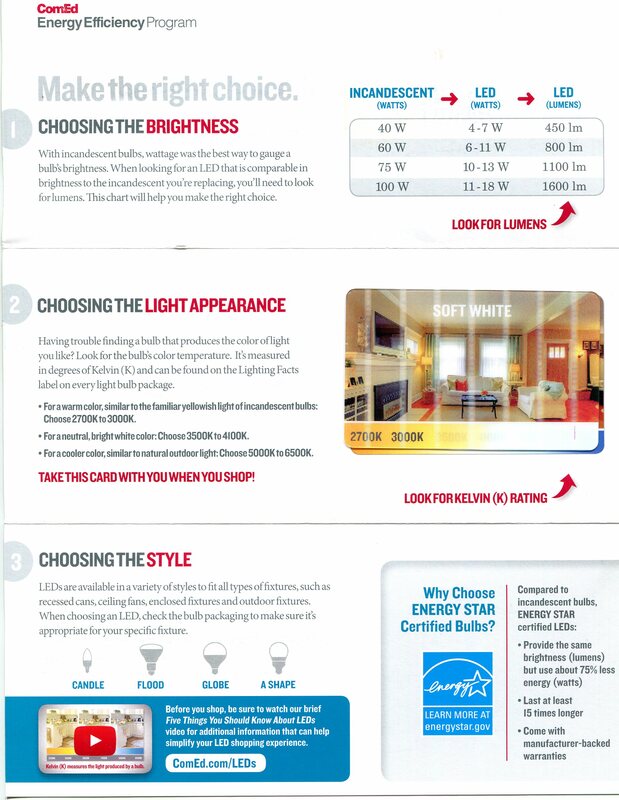 ComEd’s 3 steps to lighting your home. What seems like 10 years back, somebody governmental decided unilaterally that we should do away with those high-energy-consuming incandescent bulbs which we have been using since Edison. No longer would we squint in the warm glow of a 60-watt bulb while reading the newspaper. This was because someone, probably in Shanghai Xiangshan, thought we were better off screwing mini-helical fluorescent bulbs into our light sockets. 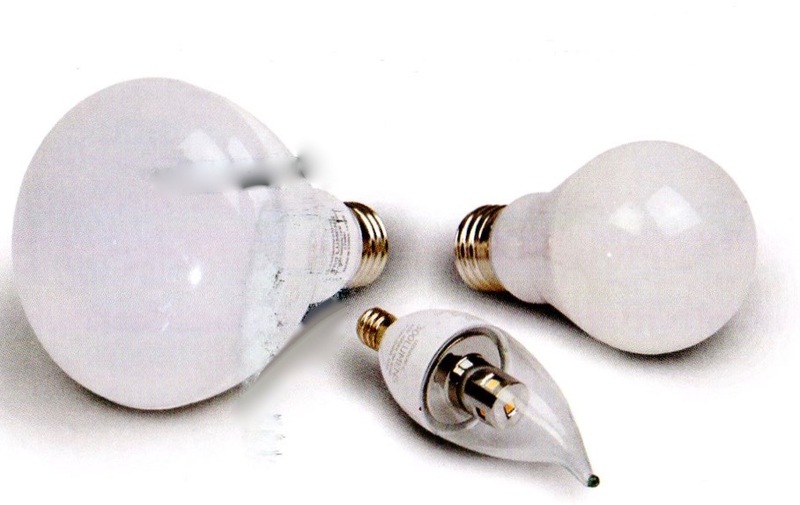 Touted as energy-saving devices, the ‘cool light’ replacements would use less electricity, and last 5 times longer. Incandescents all but left the market, unless you looked in an old variety store off a back road. So we were prodded into changing out all the old bulbs. The bright idea: mercury infused fluorescence! 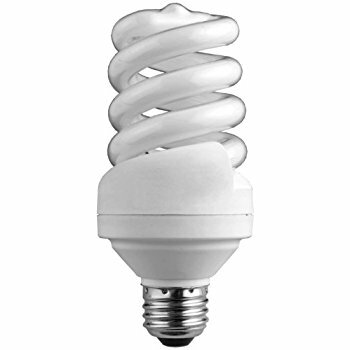 Once all the houses in America were transitioned over to the helix models, then the mercury sleuths woke up, and said we could not dispose of the bulbs. Because after all, they do burn out eventually, and to my disappointment, faster than claimed. But who’s going to China to file a complaint? So now the incandescents have returned, like swallows to Capistrano. From watts to lumens. At the speed of light. 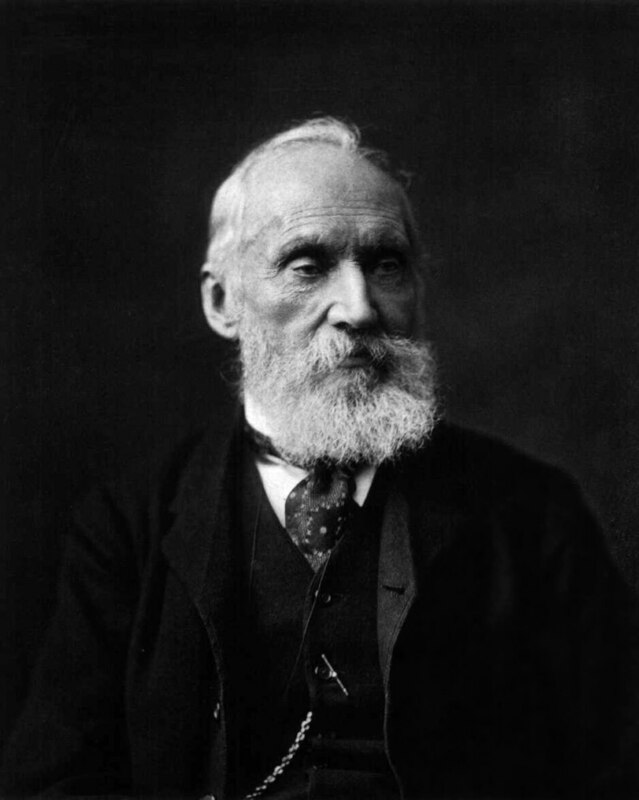 But at the same time, another Edison protege has risen, to suggest disposing again of all incandescents in favor of LED bulbs. The light-emitting-diode bulbs are very efficient indeed. Not only do they use less power, but they are also blindingly brilliant. ComEd has taken the initiative in nudging the switch along by mailing us a helpful little card. On one side, it converts incandescent strengths to LED, which is like shrinking a bagel to a Cheerio. 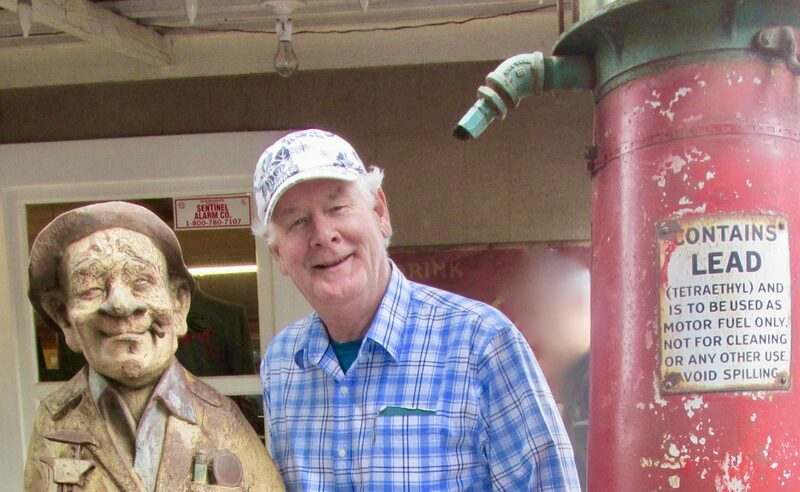 It goes from watts… remember him? ..to lumens, which is like from energy consumed to instead, brightness delivered. A Canadian bookmark for the 1970s, still in use today. But before I go any further, I just want you to consider a similar transition from ancient Canadian history. Back in 1973 the federal government, of course, decided to change from Imperial measure…remember the Queen?… to metric. This was purportedly to rationalize and expand Canadian exports to the non-U.S. metric world of commerce. I think the real reason was to hoodwink the car-owning public. We shifted gas prices from 45 cents a gallon to 15 cents a liter overnight– without a shred of understanding. 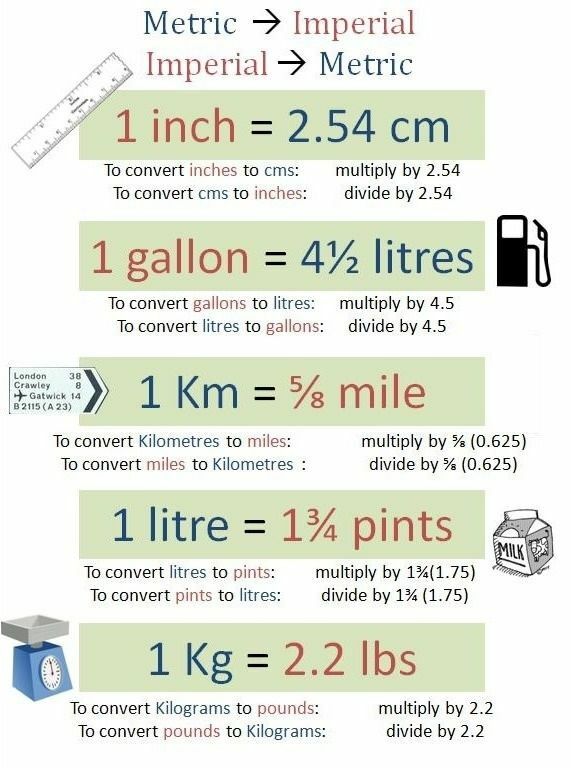 To further bamboozle the public, the government then commanded that car fuel efficiency should shift from mpg, miles per gallon to… kilometers per liter?….no wait for it, liters per 100 kilometers! Lenticular: lighting your home, as Kelvin would like it. Not un-coincidentally, while this huge shell game was in process, the Feds decided to start a government-owned company called Petrocan to sell us gas for our cars! They bought up all the Sunoco stations, changed the signs, and raised the prices like great Caesar’s ghost. We didn’t have a clue. So back to ComEd, which so far is not a government entity. 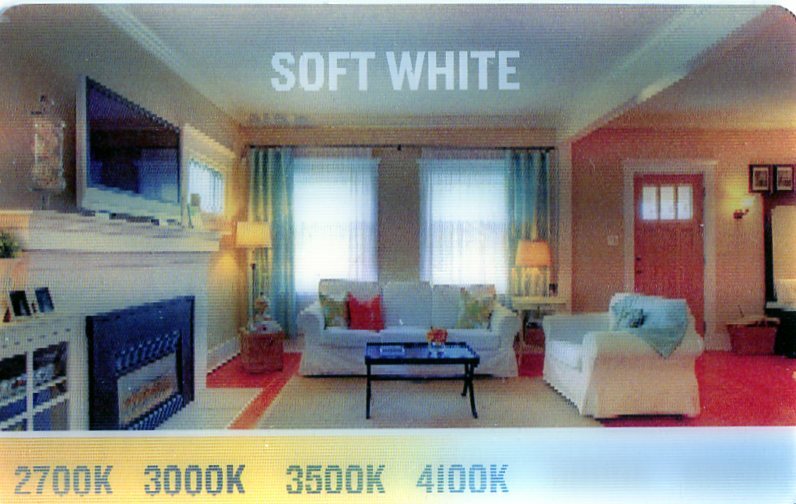 The other side of the ComEd lightbulb card is a lenticular lens which shows you what your home will look like using LED lighting. It’s pretty clever, and a great device for direct mailers to use. When you wiggle the card, it changes the brightness of the living room pictured on the card. You have three exposures: DAYLIGHT, SOFT LIGHT and BRIGHT WHITE. Below each setting a number tells you what the bulb’s color temperature is, in…Kelvin?…remember him? Of course you do. Water freezes at 32′ Fahrenheit, or 0′ Celsius, or 273Kelvin. 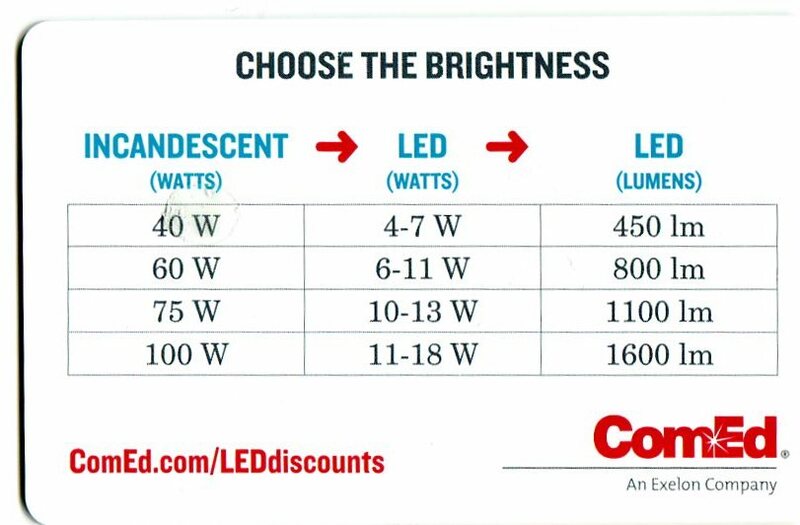 Anyway, we now have a card to buy the right bulbs, defined by lumens and Kelvins. The only remaining question, how many civil servants does it take to change a light bulb? Thanks for reading! Please illuminate your friends by sharing!